Crock pot vegetable curry is a one-pot meal that you can prepare in the morning and will fill your home with the aroma of Indian spices all day long. 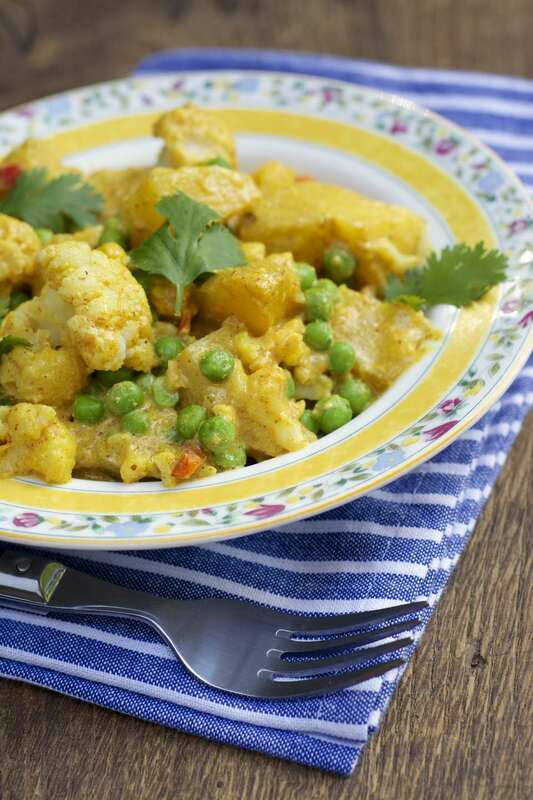 This vegetable curry recipe is vegetarian, vegan, fat-free and gluten-free. Serve over rice if desired. Place all ingredients in a crock pot or slow cooker.